The textile fibres, set free from their original assemblage and mixed up with assorted microscopic evidence of our daily life: skin, paper, hair, dirt, and grass, form a new self- generated and randomly selected textile composite. On a microscopic level this material carries traces from our everyday life and weaves its own story. 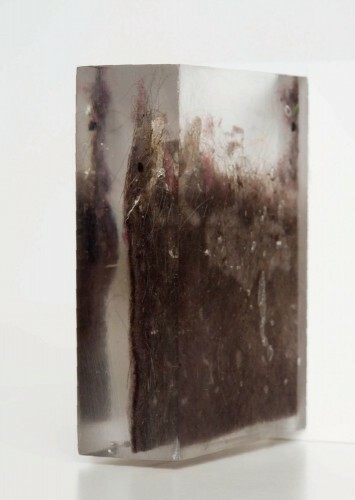 The Fluff series was fist created for the exhibition NANO at Studio 44 Gallery, Stockholm, February 2OO9.